I’ve been a happy subscriber of the Customer Service Tip of the Week email distribution list for a couple years, reliably receiving a practical bit of customer service advice every Monday when I arrive to work. I appreciate them both for their practicality and the ability to read them in a minute or less. 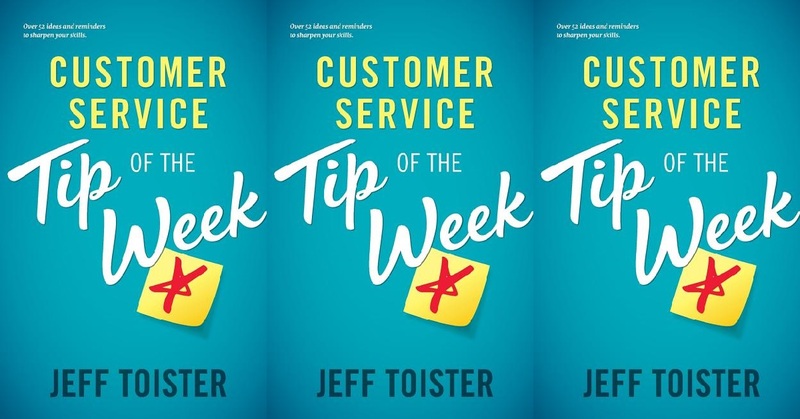 I was recently thrilled to learn that Jeff Toister, author of the books Service Failure and The Service Culture Handbook, has released a new book cleverly called, Customer Service Tip of the Week. 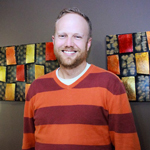 In it he has compiled more than 52 customer service tips so customer service professionals can have them all in one place rather than waiting to read one per week. As I read through the tips, I was impressed by the fact that Toister didn’t just combine a bunch of short tips together into a book. Instead he approached it with the clear purpose of getting customer service professionals to actually think about each idea and find ways to apply it in their own work. The tips are organized in a few different categories to help with rapport building, exceeding customer expectations, and better problem solving. Toister breaks it down further on page 12 where he identifies key customer service challenges and tips that best address those challenges. Furthermore, he does a great job of adapting the tips to situations where the customer is either with us in person or is separated by a barrier like phone, chat or email. Here are my three favorite tips from the book. I’m terrible at giving and listening to directions which is why I’m always impressed when I enter a store and an employee doesn’t just tell me what aisle to go to, but they walk me to the item I’m looking for. I bet you can quickly rattle off a few stores that consistently do this. I know I can. In this tip Toister says, “Whenever possible, walk your customer to their destination yourself so they won’t get lost and so you can offer extra assistance.” This is great advice and doesn’t just apply to a physical store. Imagine chatting with a customer and using a cobrowse or screen sharing tool to point something out on the screen. Or consider situations where you tell a customer to contact another company and then wait on the line with them to make sure they don’t get lost in the process. Giving customers a little something extra is a good thing right? In a later bonus tip Toister refers to this as “Lagniappe,” a Creole term. But in this tip we’re reminded to first, “Try to see things through your customer’s eyes before giving your customer anything extra.” Customer service always requires an appropriate level of sensitivity to the individual needs and preferences of each customer. Imagine offering a customer something with peanuts in it before asking whether or not they have an allergy. There are a myriad of scenarios like this. We should never assume that just because we’re giving the customer a gift that they’re going to appreciate it. Sometimes simply fixing a problem isn’t always enough — especially if the customer is calling support after we’ve failed them in some way. The customer needs to have their trust restored. They need to feel good about your company again. Toister gives a great example of overcorrecting problems saying, “A technical support agent helped a customer access a locked account and then overcorrected by showing the customer some new features that would save time.” I don’t think we’re talking about “above and beyond” or “WOW” here but instead a consistent focus on restoring the customer’s trust and helping them be successful in the long term. That’s just three of the tips. You can learn more by subscribing to the weekly tips for free or getting this book. As a customer service leader, I would consider bringing some of these tips into my regular team meetings and discussing how we can put these into practice. It’s also a quick and easy read for busy contact center professionals to help them up their customer service game. Check it out and be sure to let us know some of your favorite tips from the book. Thanks for your kind words, Jeremy! I’m so glad you enjoyed the book and found the tips to be useful!